Rebecca is a frequent lecturer. 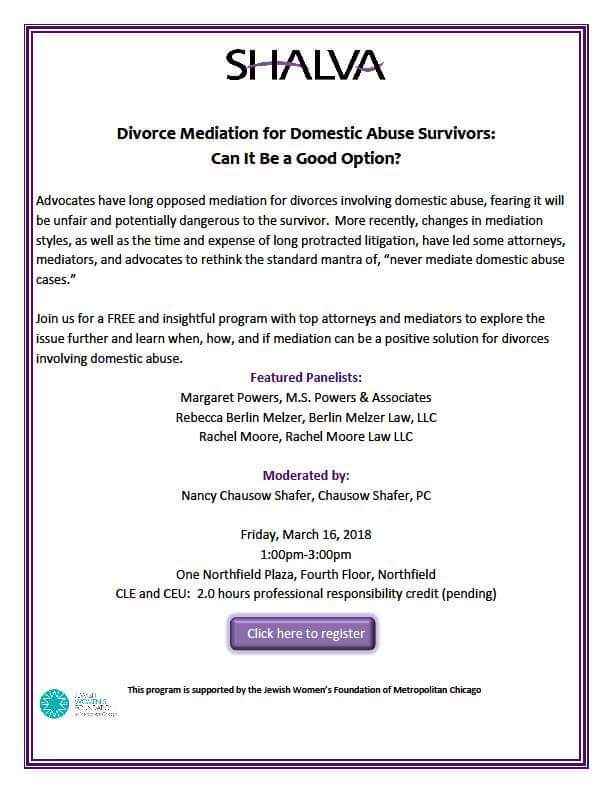 In 2018, she was a featured panelist at a seminar entitled “Divorce Mediation for Domestic Abuse Survivors: Can It Be a Good Option?”. The seminar was so popular that, after the March 2018 seminar, it ran two additional times.